Dreamnote are full of feelings in MV teaser for ‘Hakuna Matata’! iME KOREA’s girl group Dreamnote have released the ‘emotion‘ MV teaser for their upcoming track ‘Hakuna Matata’! The girls look directly at the camera and show various emotions throughout the MV teaser. Their cute and bright makeup styles compliment the energetic and bubbly melody and lyrics of the song well. 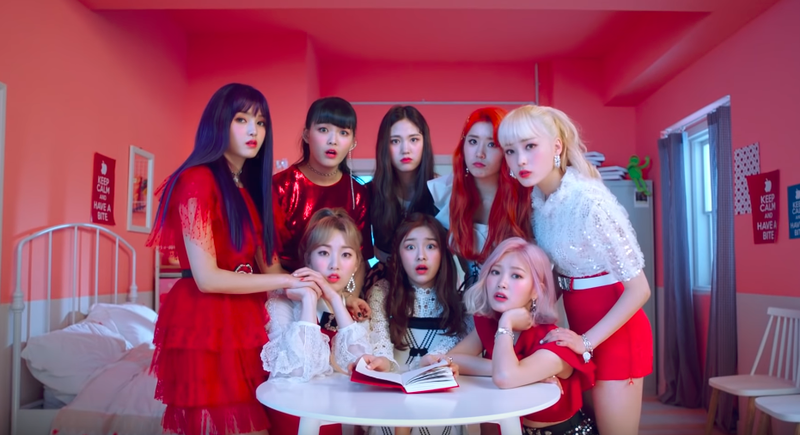 The teaser concludes with all the girls of Dreamnote looking up at the camera both surprised and unimpressed, at the ending of the notebook they had just read. The song ‘Hakuna Matata’ will be the title track to their second single comeback album ‘Dream:us’! The album is set to drop on the 12th of March, 6 PM KST. Watch the emotion teaser for Dreamnote’s ‘Hakuna Matata’ MV below! What do you think of Dreamnote’s ‘emotion‘ MV teaser for ‘Hakuna Matata’? Are you excited for their comeback? Let us know in the comments below!